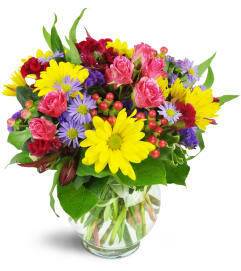 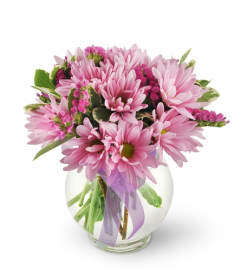 Perfect for all your "best buds" occasions, this distinctive floral bouquet is a step above the typical. 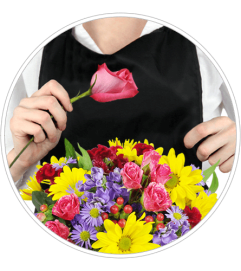 Whether it’s a "thinking of you" moment, an anniversary, a birthday, or a "congrats are in order" sort of day, say it with our unique combination of red spray roses, pink dahlias, yellow lilies, and white daisy poms. 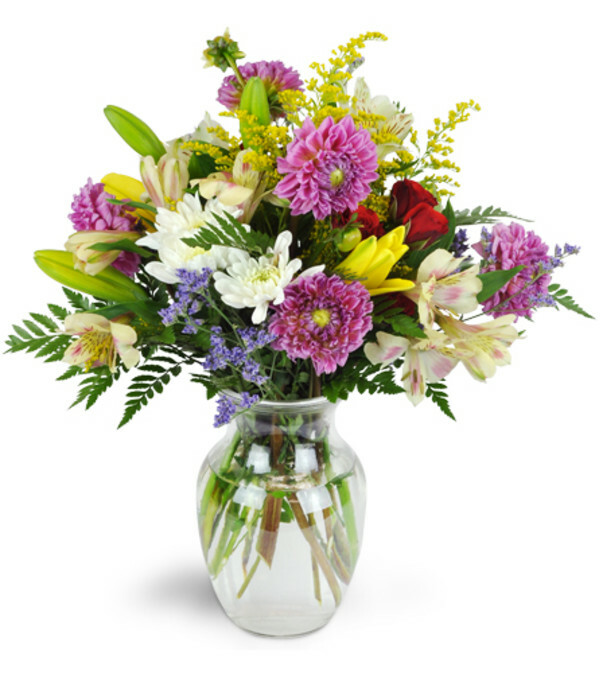 Lilies, spray roses, dahlias, and more are a perfectly wonderful combination for any occasion!